One of the defining parts of Cody and I’s time in Bush Alaska was our ability to have a subsistence lifestyle. Cody hunted moose, caribou, ducks, and geese. I gathered fireweed and berries to preserve for winter. Together we fished for salmon, trout, and smelt. All of those activities kept us packed with food throughout the year in Pilot Point. We knew that we’d be giving some of that up when we came to live in Palmer, Alaska. Palmer is still a small town by the standards of much of the lower 48, but compared to our little bush village, it’s a bustling metropolis. We also knew that we wouldn’t be living on the ocean with access to a subsistence fishing net anymore and that hunting may be a bit harder to access (although Cody already has been getting some good leads on hunting for the fall). However, we are still determined to provide for ourselves as much as possible. Since we arrived in Palmer, I’ve been busying myself with learning about local plants. Many of the plants are familiar to me through my time in Pilot Point, as well as through my time living in Juneau. Some of the plants are familiar just from life in general. Dandelions, for example, are something I’ve never gathered and worked with before, but since they’re readily available here I am working on making dandelion jelly. 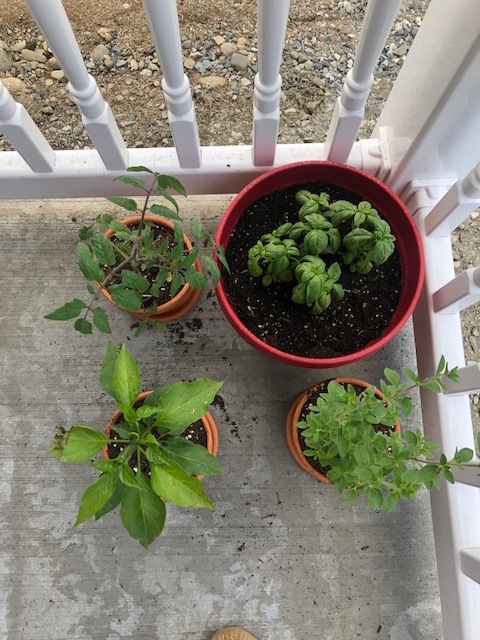 For the plants that are new to me though, I’ve been relying on two main resources to guide me. 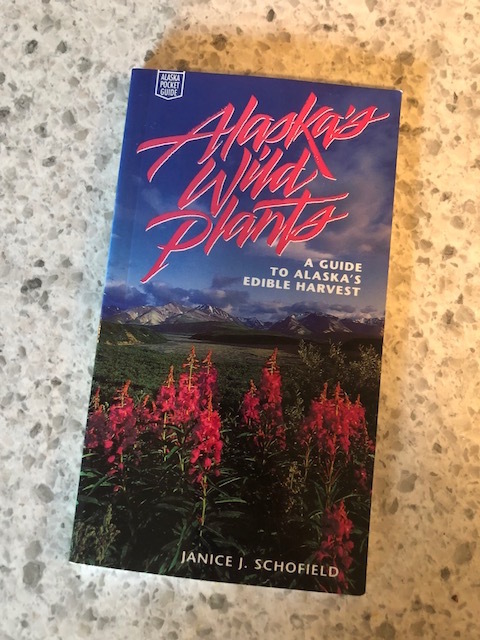 First, my Alaska plants guidebook. This book is SUPER handy. 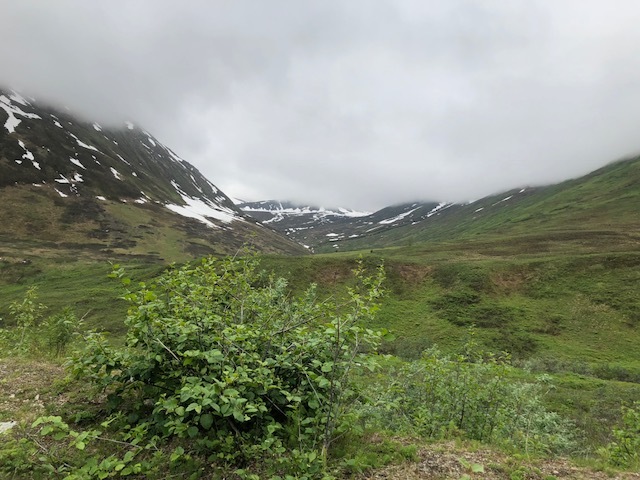 It has the plants of Alaska broken down by area and type of habitat they are found in. It has pictures, descriptions, and detailed uses for each plant. This has been great for familiarizing myself with the plants of the south-central region. Another great resource is the GardenAnswers app. This app is a totally free resource that you can download onto your iPhone. All you have to do is take a picture of a plant and the database searches for similar looking plants and gives you options to choose from. 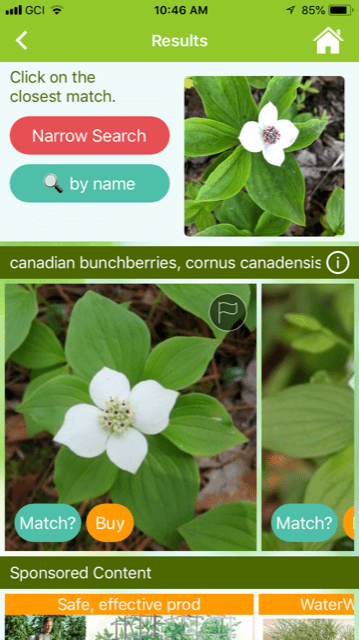 Once you select which plant it is, the app allows you to browse information about that particular plant. It’s been super useful to me and I highly recommend checking it out.